This statistic shows the result of a survey on music streaming on Spotify in Finland in 2017, by frequency. 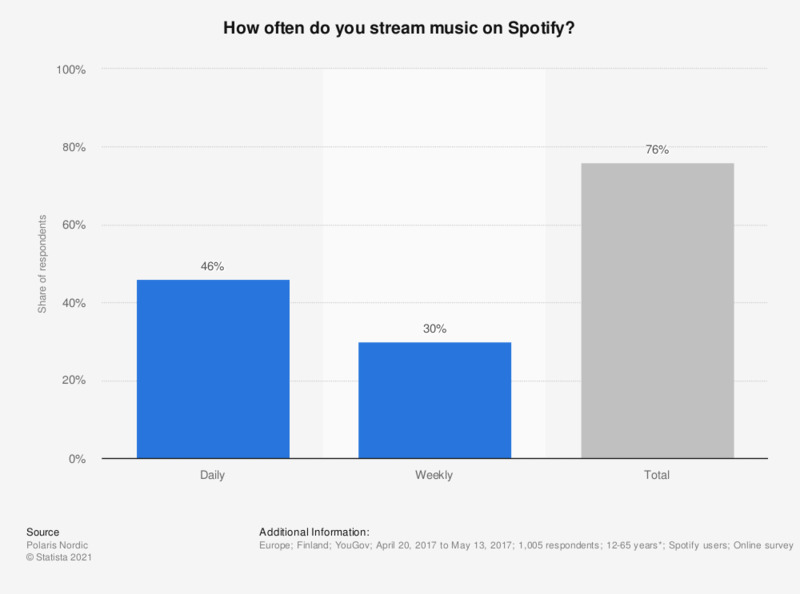 According to the survey, Spotify had a daily user share of 46 percent. In 2017, 82 percent of the Finnish population subscribed to a digital music service. Popular digital music platforms in Finland include the Swedish music, podcast and video streaming service Spotify and the Google-owned user-generated video content site YouTube. This question was phrased by the source as follows: "How often do you use the following service (for music or music videos)?" * In case of individuals younger than 15, parents were interviewed.